Do you find yourself skimming through the Craigslist Wichita rental apartment advertisements while you dream of owning your own home? Keep reading to find out how Homes for Heroes can help you buy a house of your own. Homes for Heroes is a Minnesota based company that began after the tragic events of 9/11 as a way to give back and say thank you to our nation’s heroes. We work with affiliate real estate specialists throughout the United States to help heroes save money on a home. Sign up for more information about Homes for Heroes. Generations of Kansans have looked to the skies as they built their lives in Wichita. 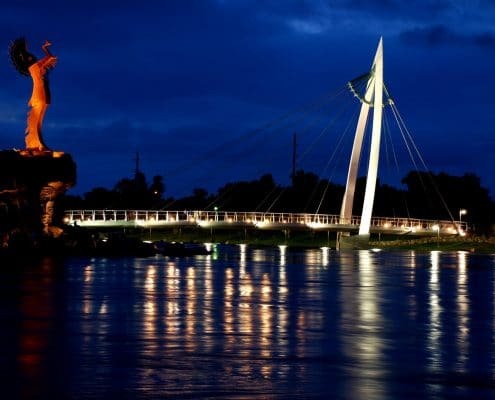 Home to approximately 400,000 people, Wichita is the industrial and cultural center of Kansas. The city’s roots in aircraft manufacturing date to the early 20th century. There are numerous aircraft manufacturers, in addition to McConnell Air Force Base, that continues to employ thousands of highly skilled workers. Other sources of many jobs include natural resource development, healthcare, and education. Wichita has a vibrant arts community. Its music and museums are some of the most exciting in the Great Plains region. Music lovers enjoy live music at such venues as the Orpheum Theater, Intrust Bank Arena, and the Hartman Arena. Thousands of music enthusiasts flock to the Wichita Vortex Musical Festival and the Wichita Riverfest every year. In addition to a robust economy and cultural offerings, residents relish the relatively low cost of living and the comfortable lifestyle offered in Wichita. Locals care deeply about education and Wichita State University, a major public research university that has built deep ties to the community. Why do you want to buy a house? Some people decide to purchase a home because they are tired of paying rent. Others think about owning a house as an investment. Sometimes, the desire to take advantage of the tax benefits of owning a home motivates an individual to acquire a home. For many people, it’s a combination of factors, including a yearning to belong to a community, that spurs them to home ownership. Building Equity: Home values tend to rise over time. The result is that your home will most likely be worth more than you paid for it in the future. Of course, real estate markets fluctuate, and the value of your home may go up and down with the market. However, home ownership remains one of the best long-term investments that you can make to ensure your future financial position. Tax Benefits: Owning a home helps you keep your money in your pocket. The new federal tax laws allow you to deduct mortgage interest on a loan of up to $750,000. There are numerous other ways, energy efficiency upgrades for example, in which home ownership assists you in reducing your tax burden. Consult with a licensed financial professional for tax planning advice. 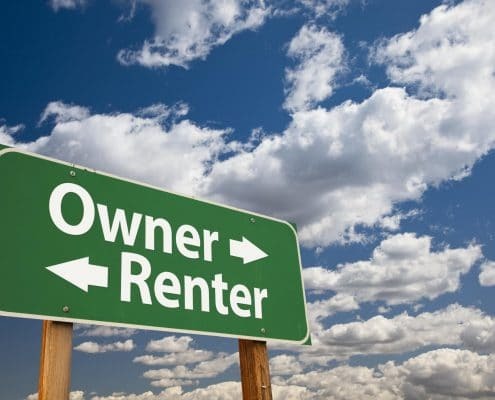 Security: Stop worrying about the uncertainty that comes with rising rental costs. One of the most potent benefits of buying a house for many people is the peace of mind that comes from ownership. Feel confident in knowing that your mortgage payment will stay the same for the next fifteen to thirty years. Lifestyle Freedom: Do you want to paint your walls purple? How about adopting a dog from the local shelter? Buying a home frees you from worrying about pleasing your landlord. So, get ready to let your inner interior designer break free. Community Connection: When you own a house, you will develop a sense of place and feel connected to your neighbors in a more permanent way than when you were a renter. It’s true that your neighbors will become your friends as you share your lives together in your little pieces of Wichita. 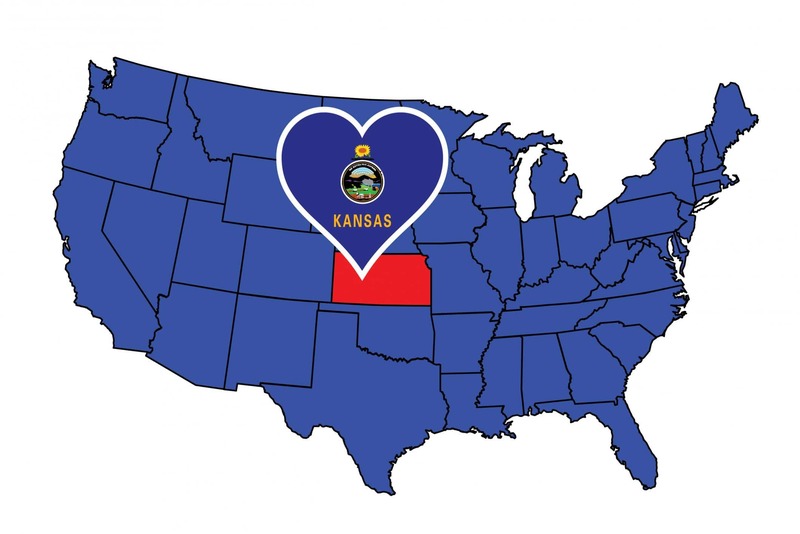 Homes for Heroes has a network of affiliate real estate specialists in the Wichita area who are experts in assisting heroes finding their new home and saving them money. Sign up to speak with a Homes for Heroes real estate specialist to learn more about how we can help you into the home of your dreams. The advantage of using a local real estate agent who understands the real estate market in Wichita is that your agent knows how to locate properties that meet your requirements and budget. Before you start touring houses, it’s beneficial to discuss your needs with your agent. Along with these primary considerations, look for a neighborhood that makes you happy. Do you want to sit on your front porch and chat with passing neighbors? Do you want to bring Fido to a fantastic off-leash dog park after work each day? Think about the parts of your lifestyle that make you happy and make sure that they are a present in your new neighborhood. In addition to your partnership with a real estate specialist, you’ll most likely need to finance your purchase through a home loan. Once again, Home for Heroes has affiliate specialists in Wichita who specialize in helping heroes afford a home. As an added benefit, you’ll save even more money on your home purchase by using a Homes for Heroes affiliate lending specialist to obtain your home loan. With a potent team of real estate experts at your side, buying the house that feels like your home will be a less stressful task. Take your time to tour many different housing options in your favored location until you find the perfect place. Don’t worry; your future home exists in Wichita. Lastly, are you ready to take advantage of the outstanding benefits of home ownership in Wichita? Sign up to speak with a Homes for Heroes real estate specialist. We’ll connect you to a local real estate professional who can answer your questions, and walk you through the process of buying a house in Wichita while saving money.